These are our very own clay version calaveras, which resemble the shape of the human skull. Usually these toys are painted in bright and vibrant colours,and can be decorated in whatever the individual wants in remembrance of departed loved ones and in celebration of their return on All souls Day. 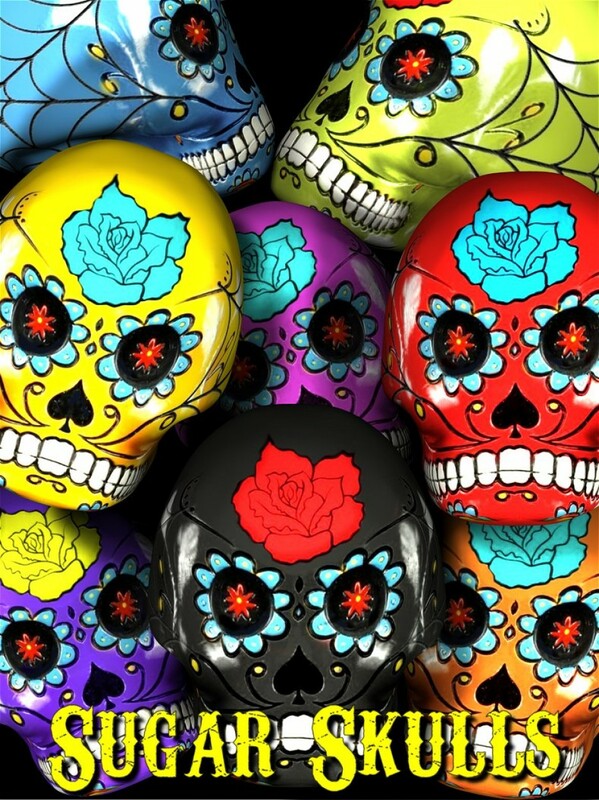 We have included an easy to use UV map so you can even paint and create your own unique skulls for this special day.